We offer full and half-page business ads, now in color. There are 4 tiers: Platinum, Gold, Silver & Bronze. Please visit the chart and here for the full details. 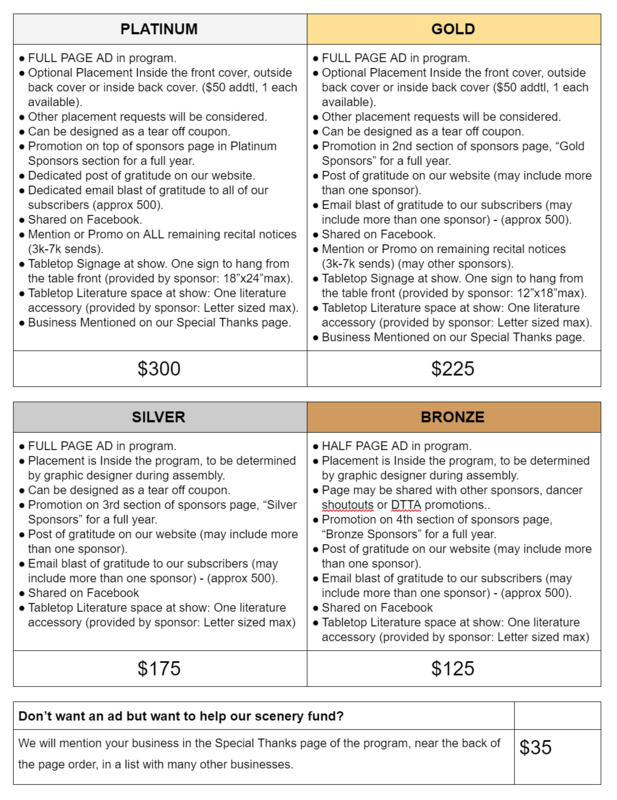 New this year is a Sponsor’s Page on DTTA’s Website, published for a full year; dedicated posts thanking our sponsors shared on our social media and website; our sponsors are promoted on all remaining recital notices; tabletop signage (Platinum) and literature at our show and more! Also NEW this year… COOL PRIZES!!! Money is being raised for 2 purposes: To pay for the printing of the programs and to help defer the cost of scenery and props that are constructed or manufactured for the purpose of enhancing the quality of the show. 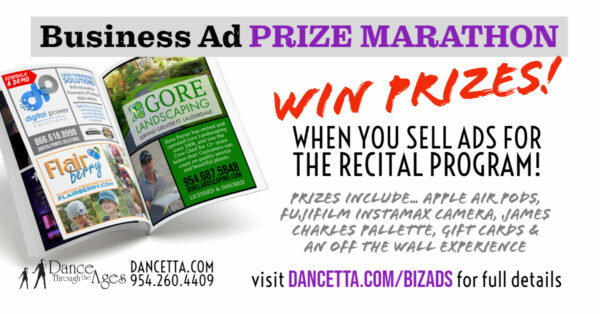 We have added new prizes as an incentive for dancers and family to sell business ads. 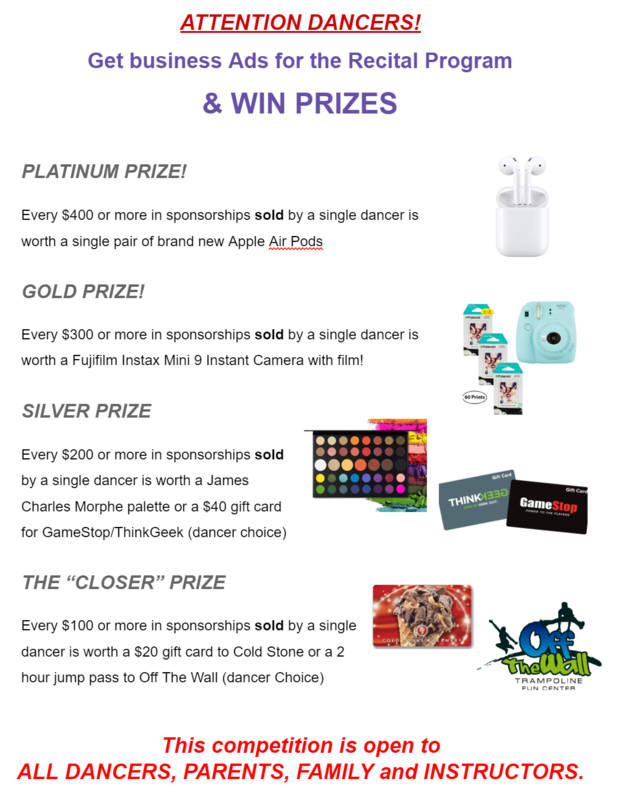 Prizes include Apple Air Pods, Fujifilm Instamax Mini Camera, James Charles Palette, gift cards and more. See below or here for prize tiers and details… GOOD LUCK!